Who likes quick and easy dinners? This girl here. 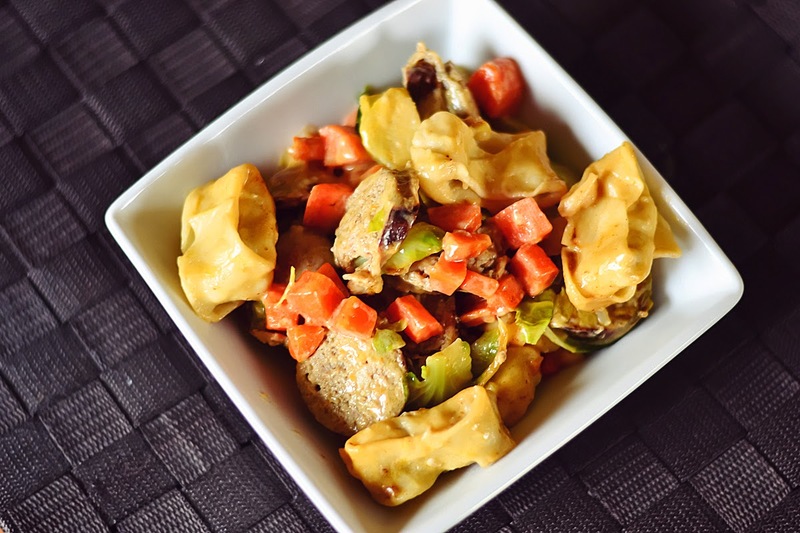 I made my own tortellini this week (I just killed the easy vibe, didn't I? 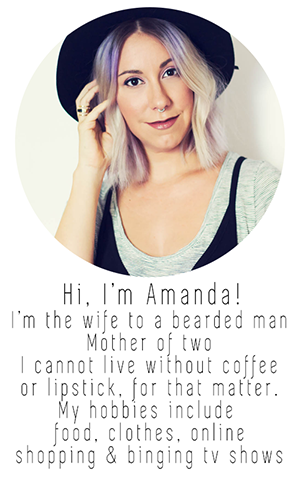 ), it was my first try and they were kind of ugly, in my opinion. I'm just starting to work with pasta; my darling husband brought me a pasta maker and it's been heavenly. I haven't shared any of my pasta making yet because I'm still trying to figure out a good recipe, which I did last night. Hooray for fresh pasta recipes coming soon. Anyway, the tortellini was already in the freezer from a few days before, so YES, you can use store bought frozen tortellini. Please don't let me scare you away because I always take the road less travelled. This evening in particular I wanted some carbs and butter, it happens, I'm a carbaholic. So I made a quick search through my pantry and refrigerator to see what inspired me. I had apple sausage, brussell sprouts, carrots, butter and tortellini... at least those are the things I wanted to eat. During my carb cravings I decided I wanted brussel sprouts too, weird huh? I still like my healthy, I suppose, until I fry it in butter. 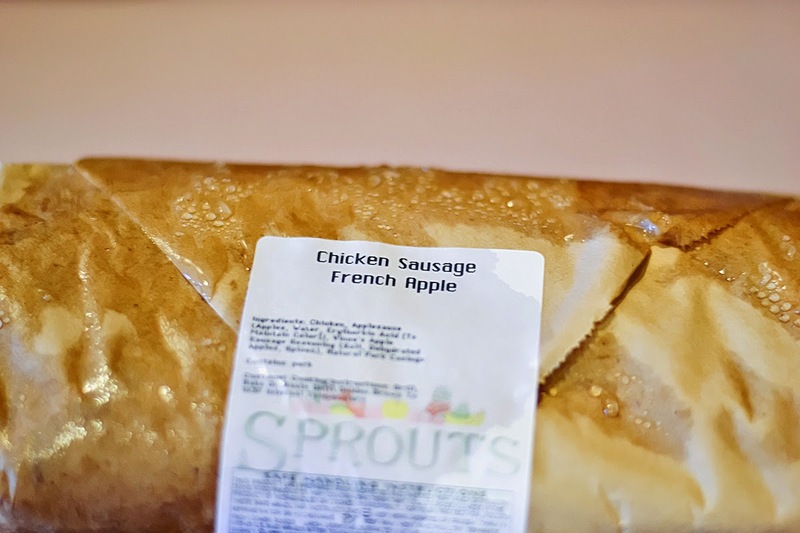 The apple sausage is from Sprouts and it has a wonderful sweet and savory flavor, if you have a Sprouts Market go get a few links in from their deli [and then sample some Boar's Head Pepperoni, you can thank/curse me later for that]. 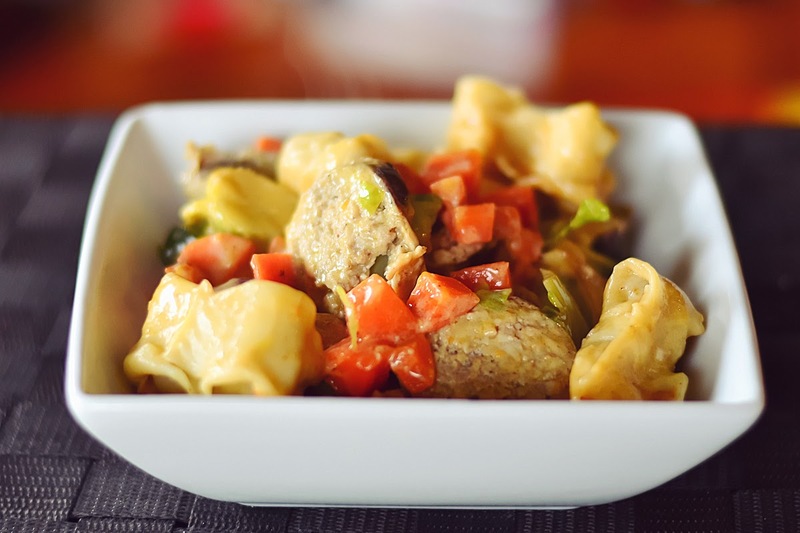 But if you don't have that, just get some italian sausage, it won't be as sweet but the flavor will go great with this recipe. 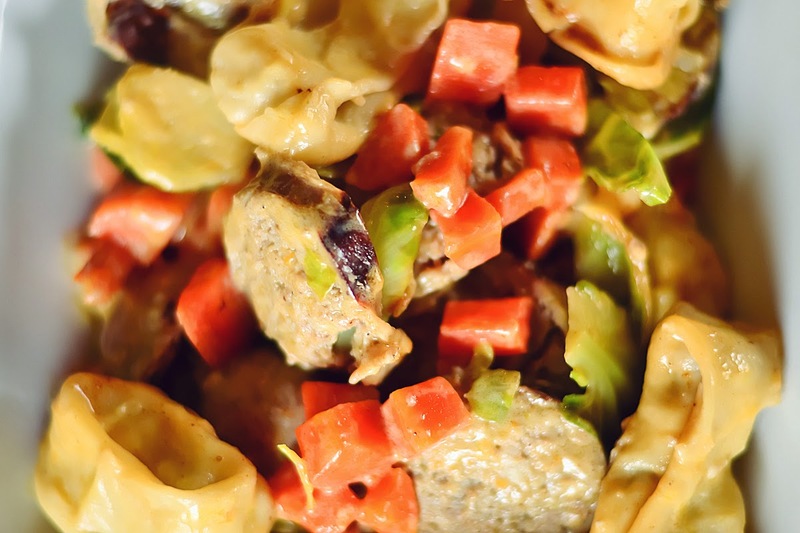 Okay so you need Apple Sausage, Tortellini, Brussel Sprouts, Carrots, Butter and Heavy Cream! It's not even ingredient heavy, how awesome is this? It does take a couple of pans, so I do apologize for that. Here's a detailed shot of the sausage, now you have the exact name, it's Chicken Sausage French Apple. It's delicious and I was in trouble for using it. I guess that was in the "to be grilled" area of the freezer and I was completely unaware this existed. He forgave me because dinner was delicious. Now to start, get those sausages into a pan. I only used two for my actual recipe, but I cooked the third because he was already thawed and ready to be cooked. It's much better if he's just sitting around waiting to be eaten. Leave these guys to cook with the lid on and move on to the next step. I don't have a photo, but put a pot of water on to soft boil for your tortellini. And then in a third pan, yes THREE pans, toss in the butter. Glorious butter. 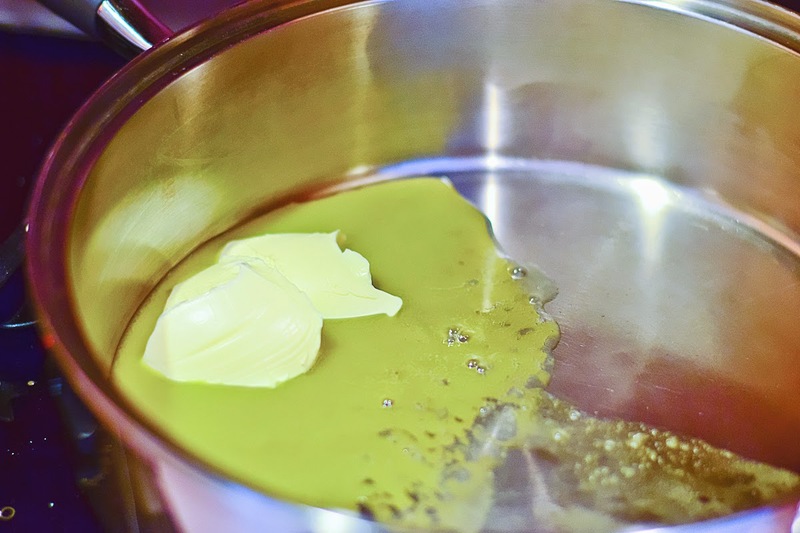 You want to brown the butter, keep an eye on it and cook it until it is brown with a nutty aroma. While the butter is browning, get to your vegetables. 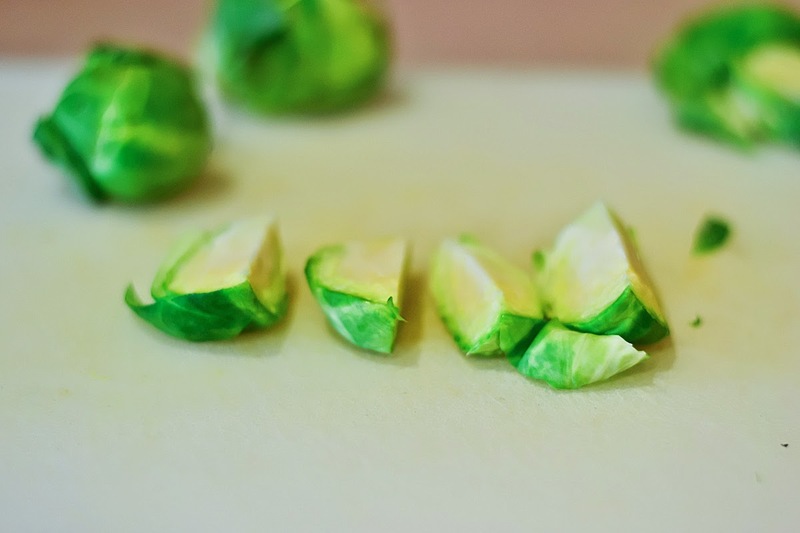 I cut my brussel sprouts into fourths, like so. 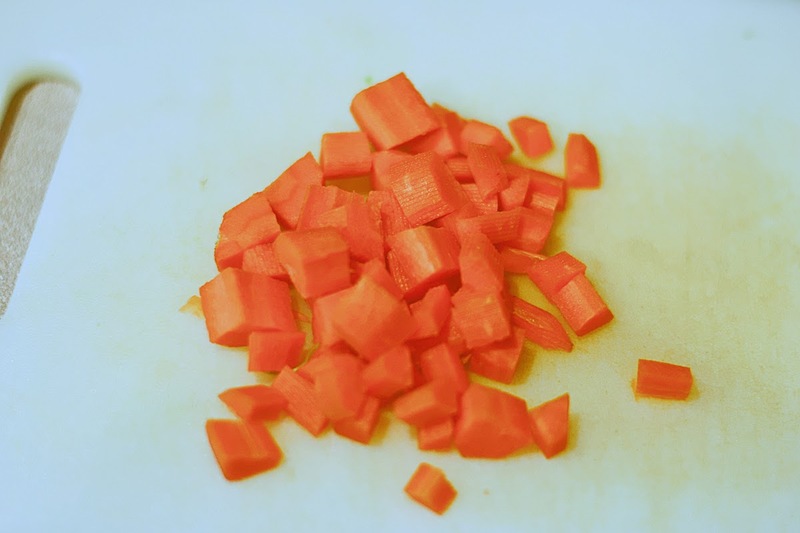 And diced the carrots. Add the vegetables into the butter and cook until tender. 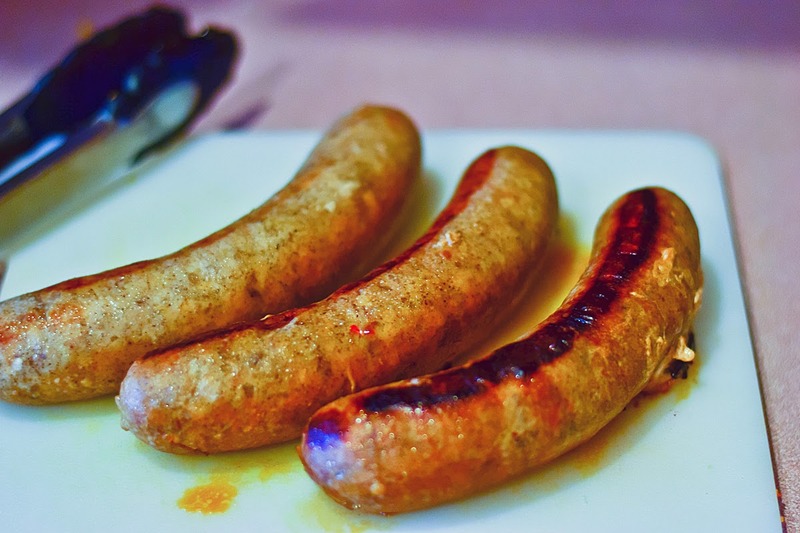 As soon as your sausages are done, pop them onto your cutting board. Let them rest for a few minutes and then slice. Add to the pan with your vegetables. Is your water boiling yet? It should be by now! Make sure it's a soft boil. A hard, rolling boil with break your tortellini. 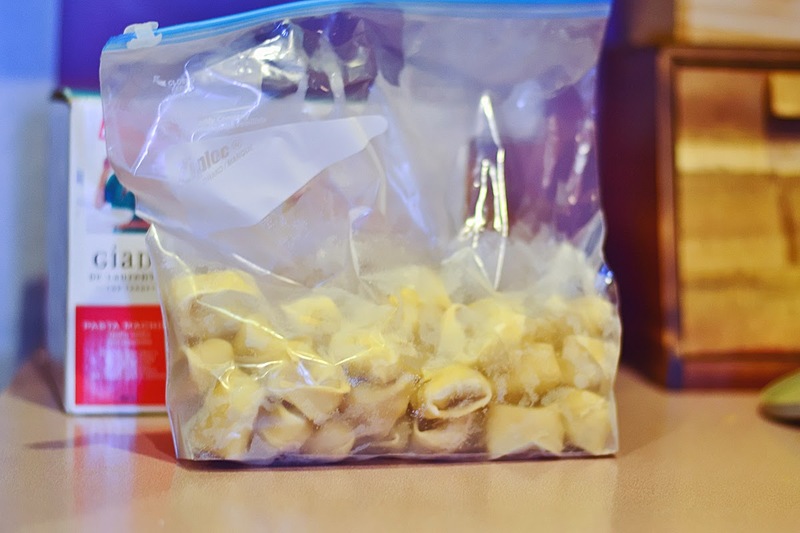 If you're using store bought tortellini, just follow the directions on the package. Cook and drain them. Ignore the terrible exposure on my carrots, I don't have a natural light source directly in my kitchen, so it's always a battle with the incandescent lights. Now you're going to add in your heavy cream, but I did not have any heavy cream this particular evening! So I took a cup of milk, added in a tablespoon of flour, mixed it and then added it to the pan. It's not as great as heavy cream but works in a sitch. Once you add the cream, let it cook until it slightly thickens and coats everything. Once the cream is ready, add in your cooked tortellini and gently stir them until they're coated. And that's it! Serve and enjoy and enjoy and enjoy. Not pictured is my addition of a little freshly shredded parmesan cheese on top. 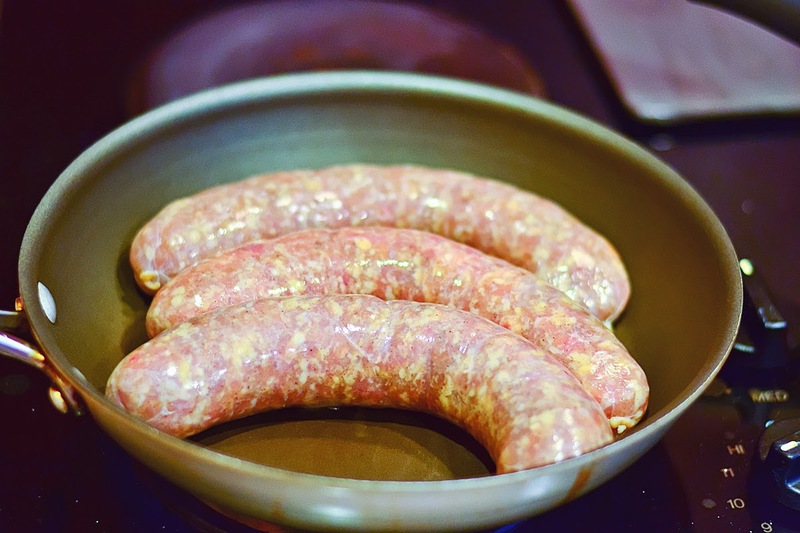 Cook your sausages in a frying pan, slice and set aside. Meanwhile, put on a large pot of water and bring to a soft boil. Following the directions on the package, boil the tortellini, drain and set aside. While the sausage is cooking and the water is on, add the butter to a separate pan and brown. You know your butter is brown with the color is browned and it has a nutty aroma. Add in your vegetables and cook until tender. Once the vegetables are tender, add in the sausage and stir. Next, pour in the heavy whipping cream. 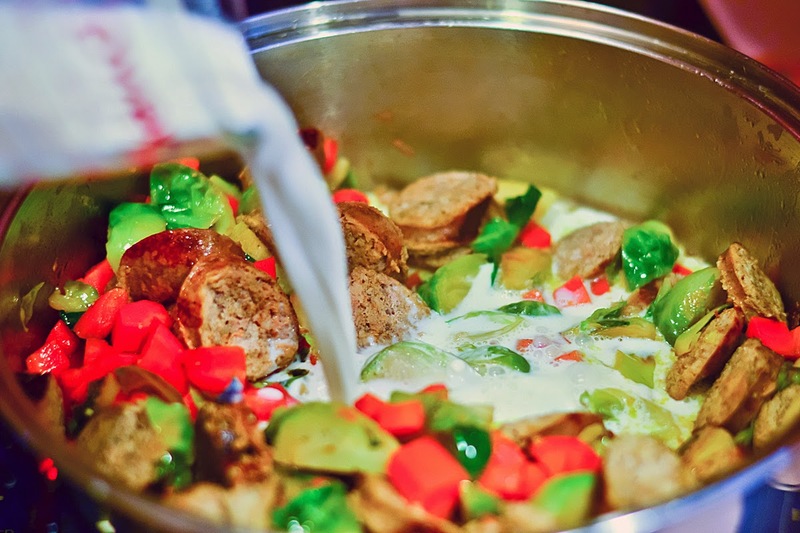 Allow to cook until it is slightly thickened and coats the vegetables. Add in the tortellini and gently stir until it is coated with the butter sauce. Top with fresh parmesan and serve warm.